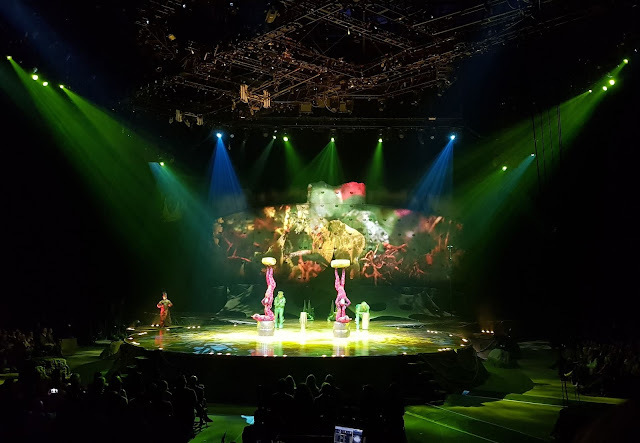 Cirque Du Soleil launched their UK Arena Tour in Liverpool and the tour continued at Manchester Arena until Sunday, followed by Birmingham and Belfast. 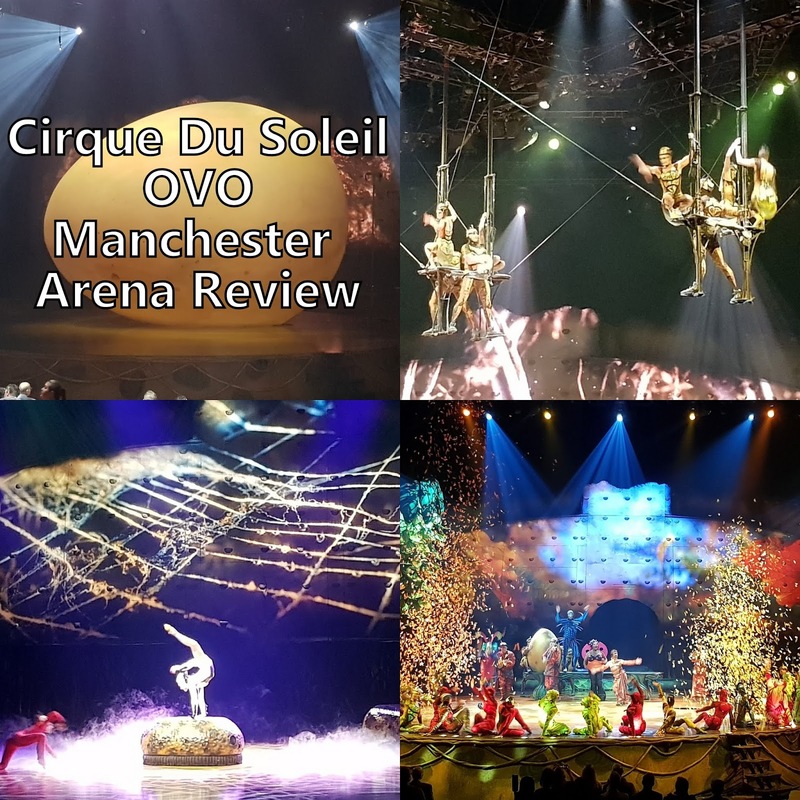 Last Friday we saw the show in Manchester as guests in order to review. The cast of OVO features 50 performing artists from 17 countries, including the UK's Alanna Baker, 2011 gymnastics European Champion and a host of incredibly talented artistes. 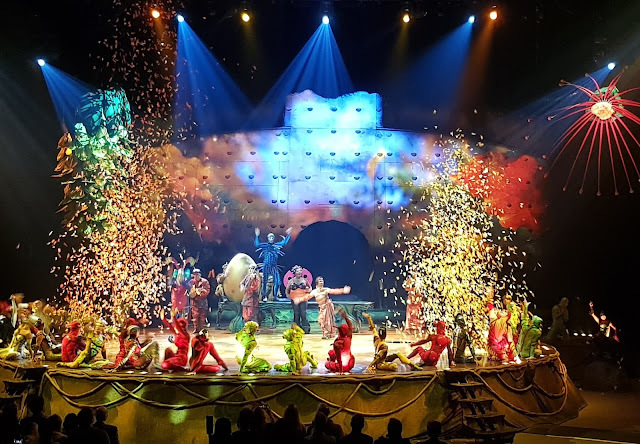 This is theatre and circus with amazing costumes and lighting, rolled into one huge jaw-dropping bundle. 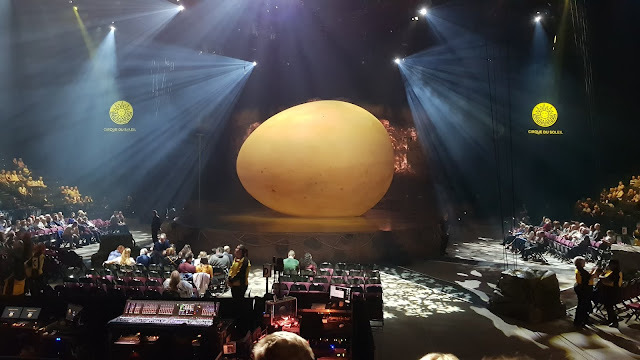 OVO means 'egg' in Portuguese and when we arrived we were greeted by a ginormous egg on stage. 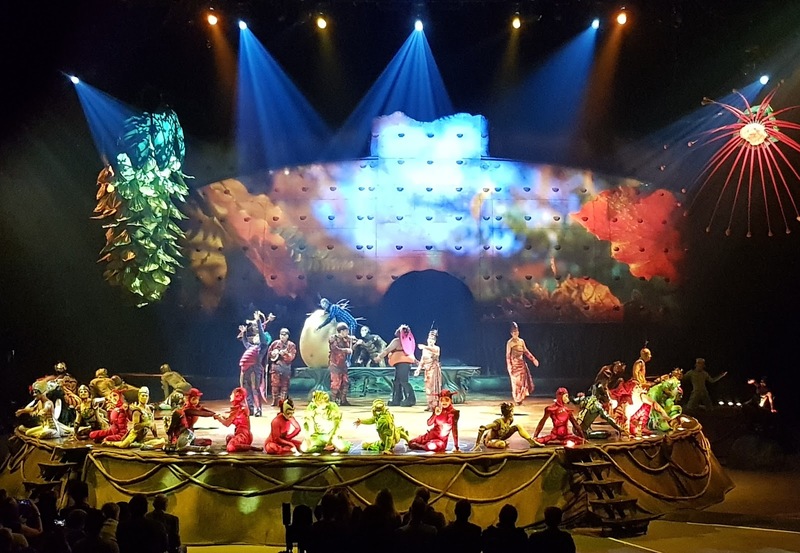 As the performance started, characters appeared and mingled with the audience, eventually settling on stage. The giant egg deflated and the performance proper began. The setting is miniature and we are watching an incredibly colourful ecosystem full of insect life. One of the insects returns home carrying a huge egg, exciting the crowd and capturing the attention of a ladybird. The story is sweet and classical, a couple coming together and falling in love. The artistes perform in between the story segments and it all winds around together beautifully and fairly naturally. 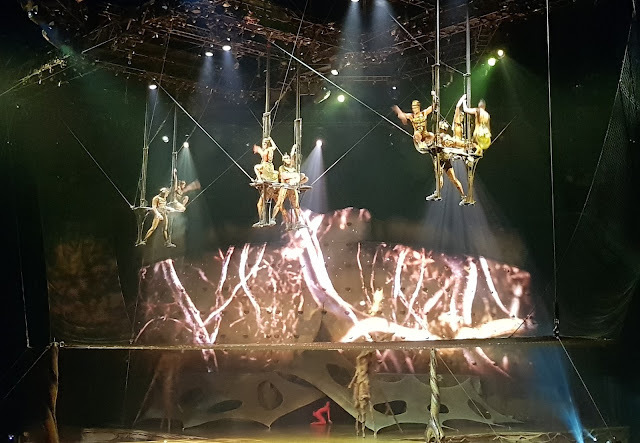 The talent is amazing and there were several moments where we all gasped, but there was never anything dangerous or scary, just incredibly impressive. The costumes were brilliant. Larger than life and far more colourful representations of the insects. I especially loved the grasshoppers with their long bent legs, and the spider, who seemed to have 8 legs even when there were only her own. Cirque Du Soleil is not your average circus. These are the world's very best performers and athletes and they're polished. I've never seen so few errors, they were almost perfect and they weren't flustered when it went a tiny bit wrong. The angles allowed everyone good view and the costumes meant that you could spot everything from distance very well. The scenery and props were great, with an entire climbing wall at the back where the Ladybird lived. 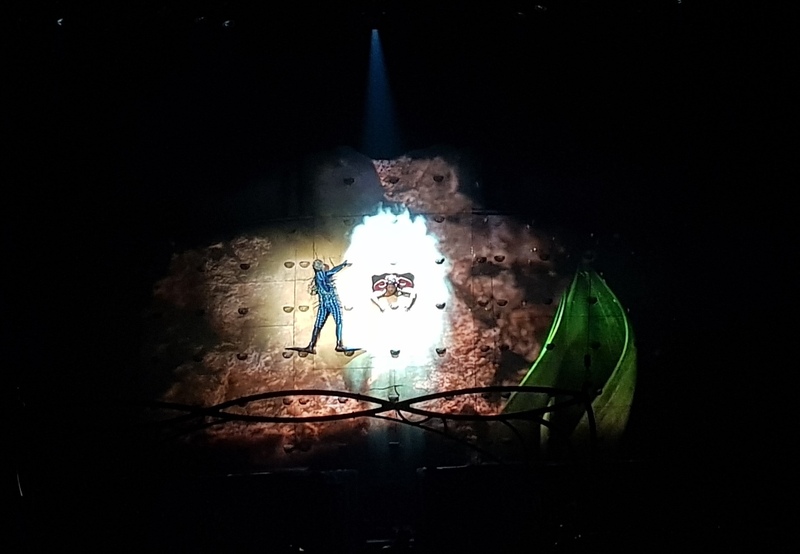 The use of lighting for camouflage, highlight and mood was perfect, and the amazingly beautiful projected backdrop scenery was an awesome touch, I could have just looked at that and been happy. 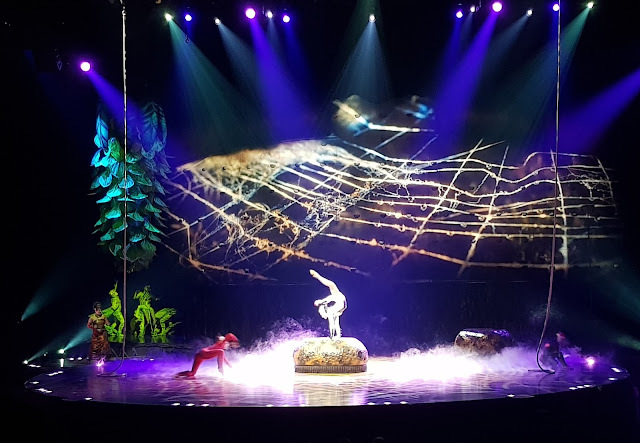 Cirque Du Soleil tickets are comparable to gig tickets and as such our seats would have been around £70 each. That's quite an investment, but it's a night you won't forget it, although it'll make you wish you'd taken up yoga years ago. As previously mentioned, our tickets were free for review.